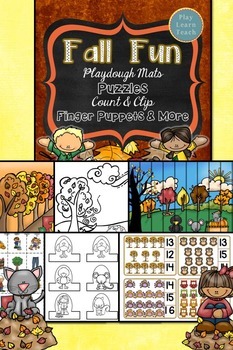 This collection of resource includes 4 fall-themed products into one larger PDF. 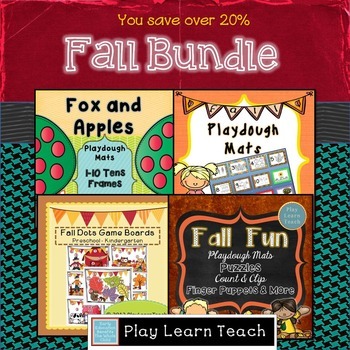 Your purchase of the Fall Playdough Mats, Game boards, and Activities has 112 pages of fall resources for preschool through kindergarten students. 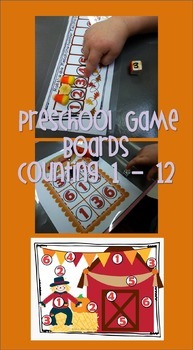 There are numerous fall-themed playdough mats and game boards, fall picture vocabulary cards, recipes for homemade playdough and many ideas for using the fall resources with young learners. Please click on the links of the 4 products to see more details.